The accident at the Fukushima Nuclear Power Plant caused by the Great East Japan Earthquake on March 11th 2011 fundamentally overturned Japanese people's confidence in the safety of nuclear power generation and reminded the nation of the dangers such generation involves. The accident has also had a significant impact on the international community. Japan publicly promoted nuclear power generation as an effective way to reduce CO2 emissions; however, with the accident serving as a turning point, it is now imperative to re-examine Japan's past nuclear power policy. Since Japan's commercial nuclear power generation began in 1966, the country has promoted nuclear power development as a national policy. As a result, the share of nuclear power in total generated electricity in Japan reached 29.2% (according to data published in 2009 by the Federation of Electric Power Companies), with Japan ranking third in the world, behind the U.S. and France, in terms of the capacity of nuclear power generation facilities. As of the end of 2011, there were 17 nuclear power plants nationwide, operating 54 reactors with a total power generation capacity of 48.85 gigawatts (GW). 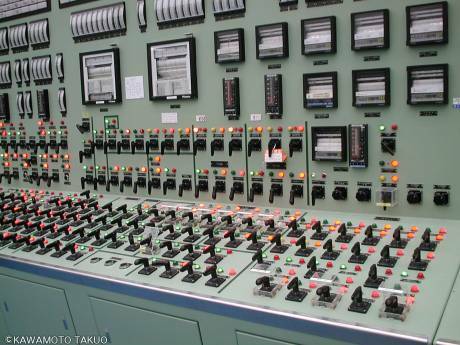 The operating rate of the nuclear power plants in Japan, however, was 64.7% in 2009 due to accidents and inspections, which was quite low compared to 90% for the U.S, 85% for Germany, 77% for France, and 94% for Korea. The situation did not change until the Great East Japan Earthquake which occurred on March 11th 2011. The operating rate after the earthquake reduced to 33.3% in May 2011 and significantly reduced to 15.2% in December 2011. Japan now faces a situation in which nuclear power generation will not necessarily continue as planned: for instance, opposition from local residents makes it unlikely that nuclear power plants whose operations are suspended due to accident or following a regular inspection will resume operating any time soon. The recent Great East Japan Earthquake aside, for the past 10 to 20 years, the public has seen many cases involving accidents, data manipulation, and accident cover-ups: the accident in the Monju FBR (1995), the criticality accident at the JCO uranium processing facility (1999), the cover-up by the Tokyo Electric Power Company involving inspection records (2002), and the accident in Reactor 3 of the Mihama Nuclear Power Plant of the Kansai Electric Power Company (2004). The accident at the Fukushima Daiichi Nuclear Power Plant fundamentally overturned the public's confidence in the safety of nuclear power generation and changed the social environment surrounding it. For instance, according to the results of a public opinion survey on nuclear power generation published by the Cabinet Office in 2009, 59.6% of the respondents wanted more, 18.8% wanted no change, and 16.2% wanted less. However, according to the results of a public opinion poll conducted by the Mainichi Daily (1,392 household of whole country excluding Tsunami damaged area) after the Great East Japan Earthquake, 13% of the respondents wanted more or no change, 74% wanted to reduce gradually and 11% wanted to stop immediately, so there has been a significant change in public sentiment. As a consequence, not only promoting nuclear power generation according to pre-earthquake plans, but also securing a disposal site is likely to be extremely difficult. For example, to fundamentally stop plans to invite nuclear-related facilities, Shimane Prefecture passed a local ordinance preventing the construction of such facilities and transportation of radioactive waste into the prefecture. But the Japanese government has still not made it clear that they change or revise current nuclear power extension policy. Electricity companies which have nuclear reactors, nuclear power related industries, politicians supported by those industries and companies show stubborn resistance to change current policy line. The reason why Japan promotes nuclear power generation as a national policy is also attributed to the fact that Japan is poor in energy resources, with its energy self-sufficiency rate being a mere 4% and nuclear power is cost effective than other power such as coal and renewables. However, the rate can be increased by using renewable energies without relying on nuclear power. Percentage of renewables to whole electricity in Japan is only around 1% (8-9% including hydroelectric power) in 2010. It is desirable that Feed-in Tariff to support renewables will start from July 2012 by the enactment of Act on Promotion of Renewable Energies. And it was shown by the National Committee of Cost Examination in October that nuclear power is not chief energy source if included tremendous financial support which has been continued since 1960 (national budget to support nuclear is about 400billion yen (roughly £3 billion) in 2011, radiation security cost and damage cost by the accident. The Institute of Energy Economics of Japan (2011) estimates costs associated with the accident at the Fukushima Daiichi Nuclear Power Plant as follows: 4.3 trillion yen for purchasing land within a 20-km radius, 0.63 trillion yen for compensating for lost income, and 0.74 to 15 trillion yen for dismantling the nuclear reactors, for a total of 5.7–20 trillion yen. The nuclear power policy, which has aimed to expanded nuclear power generation with fiscal support, should be entirely reexamined. It is also necessary to comprehensively consider creating a system in which nuclear power generation can compete with other types of electricity generation in the market where power companies can autonomously choose their best energy mix. To realise such a market, the government should consider minimizing its intervention and financial support for the operation of nuclear facilities. In summary, Japan should move away from its traditional policies with increased government responsibility and generous financial support on nuclear power : it should rigorously pursue information disclosure and a transparent policy-making process, develop technologies for reducing radiation risks, promote discussions on a wide range of topics based on the operator responsibility principle and the notion of expanded application of the market mechanism, and seek ways to gain the public's trust and understanding. It is desirable that government funds be invested in projects that utilize clean and safe renewable resources such as biomass and wind power in a sustainable manner and also in projects that ensure stable employment.